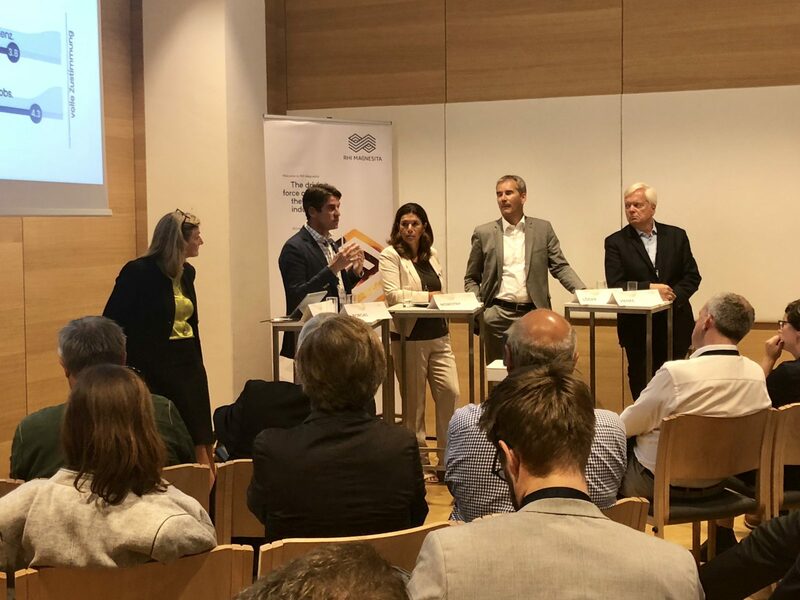 During the economic symposium at the European Forum Alpbach, RHI Magnesita focused fully on the topic of digitization. 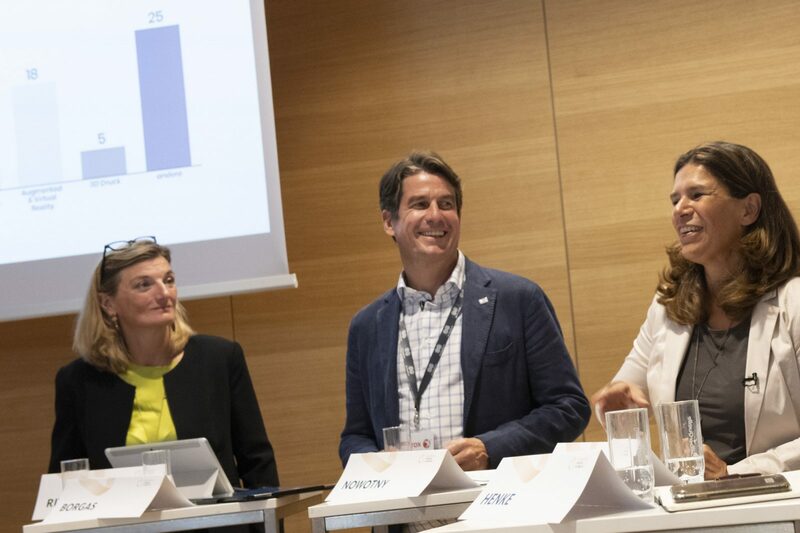 As the world market leader for high-quality refractory products and global technology leader, RHI Magnesita invited to the Breakout Session at the Alpbach Congress Centrum on Wednesday afternoon. The high-profile round table discussion was dedicated to the challenges of the digital economy. Moderator Katinka Nowotny (ORF Eco) discussed with the panelists what role is desirable for a company, pioneer or fast follower? 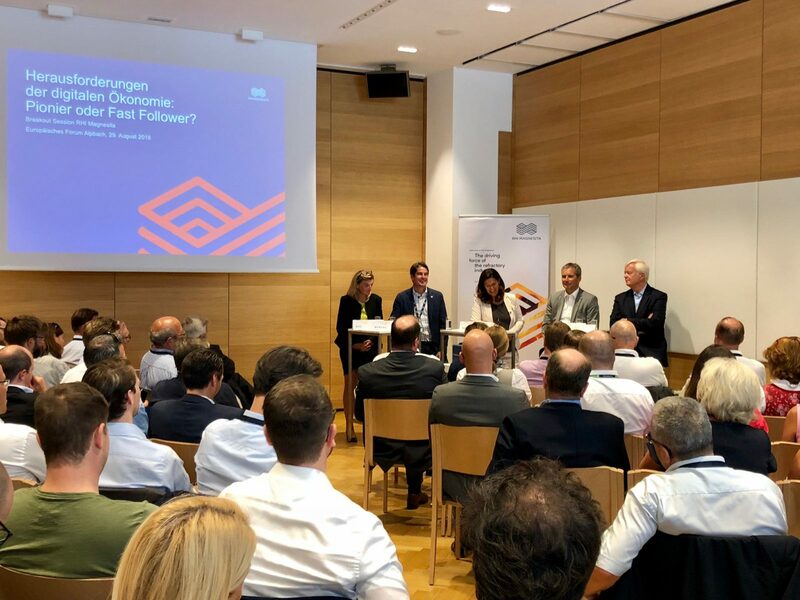 In his keynote speech, Borgas pointed out that both within the company and at the Austrian business location there was a concrete need to catch up in a global comparison. Specifically, he addressed the training of tomorrow’s skilled workers, an immigration law and infrastructure that could be developed. “It is no longer a question of whether, but when to actively and consistently engage in digitization,” says Borgas. The speed of technological development is higher than the speed of change of companies. Nicolaus Henke vividly illustrated the urgency of the topic in his impulse statement: 90% of the worldwide data were generated in the last twelve months alone. 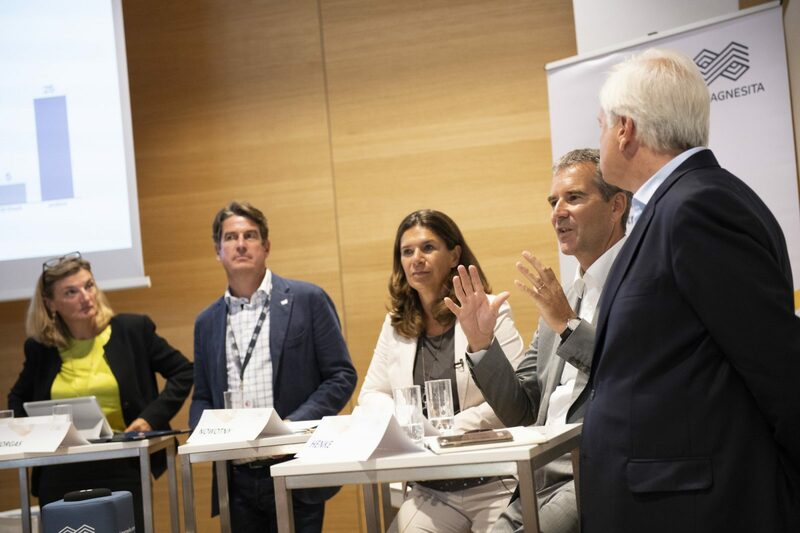 He appealed to the audience to use the Forum Alpbach as a platform for new interdisciplinary initiatives and cooperations between companies, start-ups, research and educational institutions. Finance Minister Hartwig Löger, on the other hand, referred in the discussion to the importance of digital literacy and the training of young people in the field of information technology. Dorothee Ritz also followed on from this. She also advocated demystifying the concepts of digitization and artificial intelligence in the social debate. Training initiatives and information campaigns on concrete achievements of the new technologies have already been launched. Smartphones played a key role in RHI Magnesita’s breakout session at European Forum Alpbach. The audience was asked to contribute live inputs to the panel discussion. Take a look for yourself! 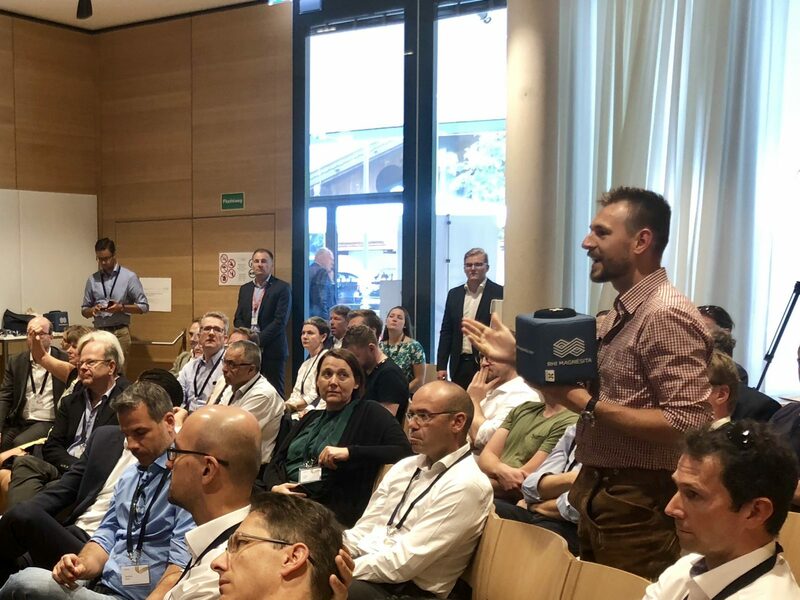 At the end of the discussion, Stefan Borgas thanked the almost 100 participants for their inputs and gave them an open and courageous approach to digitization. The breakout session has repeatedly shown that the focus is on people, not technology, and that opportunities must be used proactively.